Jim Gluckson: Good day, everyone, and welcome to the Breeders’ Cup Pre-Entry Teleconference for the 2000 (ph) Breeders’ Cup World Championships. Today we will have four star trainers from the Breeders’ Cup this year who will be on our call: Bob Baffert, Jerry Hollendorfer, Bill Mott and Art Sherman. We will also have here from the Breeders’ Cup, President and Chief Executive Officer, Craig Fravel; and Tom Robbins, who is the Chairman of the Breeders’ Cup Racing Directors and Secretaries Panel. The way we’re going to do this today is I’m going to turn the call over to Craig for a comment on the fields of this year’s Breeders’ Cup, and then Craig will also be available for questions at the end, after we speak to our guests, in the open session. At the same time, when we bring in the guests we’ll ask each of them for a comment on their horses, and then we’ll open it up to questions from the media. So without further ado, the President of the Breeders’ Cup, Craig Fravel. Craig Fravel: Thank you, Jim. Well, it’s very exciting to be here today and to talk to all of you, and I thank you all for being on the call. As you’ve read about I think in our releases and may have seen this morning on HRTV, we’ve had a record 201 individual horses pre-entered in the Breeders’ Cup for 2014, which breaks the 2011 mark of 194 horses, at which time we had 15 races compared to the 13 this year. Those pre-entered horses include horses from all over the world and the United States; horses from England, France, Ireland, Chile, Peru, and Hong Kong. We want to thank all of those who entered—pre-entered their horses in these races. It’s a tribute to the prestige and honor of being able to compete in the Breeders’ Cup, and we are—can’t wait to see them actually on the race track. We have 50 Grade individual—Grade or Group 1 winners as part of that mix, and a number of defending championship champions, including Goldencents, Ria Antonia, Magician, Secret Circle and Dank. So as I said earlier, we’re extremely grateful to those who pre-entered their horses. To the extent some appear not to be on the bubble to get in the races, we are sorry that that’s not going to happen for them, but we are very much appreciative of their interest, and can’t wait to see the horses on the race track competing in these great races. They’re deep, they’re talented, and they are a racing manager’s dream, so I’m going to sleep well tonight. Thank you, Jimmy. Jim Gluckson: Craig will be here at the end for your questions after our guests. At this time, Michelle, I think we’d like to bring in our speakers, and we can start the questioning process for that. Jim Gluckson: All right, great. I think I’d like to first begin with Jerry Hollendorfer; Jerry, with Shared Belief, who is a favorite for the Breeders’ Cup Classic. Welcome, Jerry. Jerry Hollendorfer: Thank you. Pleasure to be here. Jim Gluckson: Thank you. Jerry, it’s been obviously quite a year, and I think the first question I have for you is the development of Shared Belief following the injury. I mean did you think probably based on last year that you had a star, but were you surprised that he’s come along this well and been so brilliant in his undefeated campaign? Jerry Hollendorfer: Well, it’s hard to expect a horse to be undefeated, so I’m very grateful that (audio interference) has come along and done whatever we’ve asked him to do. Jim Gluckson: Yesterday you seemed to be very pleased with the workout. How is he feeling today? Jerry Hollendorfer: He’s doing very well. He’s a very consistent horse and had an excellent workout yesterday, an excellent gallop out, and did everything he was supposed to this morning, so we’re happy to be at that point at this time. Jim Gluckson: All right. Well, thank you Jerry. Just hang in there for a second. The star of the first part of the season, California Chrome, the Kentucky Derby and Preakness winner, let’s bring in Art Sherman. Art, Jim Gluckson here. How are you today? Art Sherman: Fine. Good morning to everybody. Jim Gluckson: Good morning. Art, it’s been a great year for your team. I’d just like you to have a little comment on California Chrome’s development since the Pennsylvania Derby. Art Sherman: Well, he came out of the race great, which I was very thankful, and he’s doing really great. He had a super workout the other day, and he’s got one more workout Saturday and then we ship over to Santa Anita for the week for schooling and just general preparation. Jim Gluckson: Art, what day would that be that you would be coming to Santa Anita? Art Sherman: I’m almost sure it’ll be Monday, but I think there is a chance it might be Sunday, too. I’m just trying to make all the arrangements now. Jim Gluckson: All right. Well, thank you, Art. A man who’s won the Breeders’ Cup Classic twice, Mr. Bill Mott, is with us. Obviously Close Hatches he has in the Breeders’ Cup Distaff—well she’s in the Breeders’ Cup Distaff, and, of course, Cigar Street in the Classic. Bill, good afternoon. How are you today? Bill Mott: Hi. Doing well, thank you. Jim Gluckson: Bill, I’d like you to have a comment on Close Hatches as she’s headed into the Distaff and her development? Bill Mott: Well, she’d been perfect all year up until the last one when we ran in the Spinster, and, you know, she finished a dismal fourth in there and it was a little bit of a head scratcher. I’m not sure what happened. You know, I really don’t have any answers for the performance. All I know is that she seems as though she’s come out of it in good order and she’s been training well enough since that race, so hopefully she’ll rebound back at Santa Anita. She ran well over the track there last year and hopefully she’ll do the same this year. Jim Gluckson: Now, Bill, you have Cigar Street in the Classic. How do you size up this year’s Classic field? Bill Mott: Well, probably very competitive. There’s some very good horses in the race. Obviously, you know, as you just stated, Jerry’s horse has been undefeated this year, and he’s a very good colt. You know, but in this race they bring them all together and it’s always a competitive race. I think they, you know, there’s always some surprises in the race. Jim Gluckson: Great, thank you, Bill. I wanted to ask now, Bob Baffert, who has obviously Bayern in the Breeders’ Cup. Bob, good afternoon and good morning. How are you? Jim Gluckson: Bob, I wanted to follow-up on a comment you made today about getting your horses to be fresh for this year’s event as opposed to in earlier years where they were not as fresh. Can you comment on that? Bob Baffert: Well, you can have a great year —especially when you have young horses you’re trying to get the earlier races and sometimes by the time I got to the fall they’d peaked and they were going the other way and just maybe not as sharp as they were. So I thought—I take a different approach to keep a horse at that top level all year long. Especially when you’re dealing with sprinters; horses that run so fast early. So I freshen them up and try to go into these races a little bit fresher, mainly with my sprinters. Jim Gluckson: All right, can you comment on American Pharaoh and his development? Bob Baffert: Well, I mean he’s a horse that came in here with high expectations from the farm, his first race was a little bit—he was just all over the place. He was misbehaving in the paddock, and misbehaving, you know, I think a lot of it had—the blinkers had to do with it. After that one race, we just schooled him vigorously and we still school him a lot. He’s settled down. Now he’s a quiet horse. He behaves himself; acts very professional. I mean he just has a lot of talent as we saw in the Del Mar Futurity was just—I knew he was going to run well, but I didn’t think he was going to do something like that. Then he came back and just maintained that healthiness. He’s sharp—he’s still sharp, and he’s a very exciting kind of horse, and so it’s really fun when you have a horse like that. They’re hard to come by. So—but, you know, Todd Pletcher’s got some really good ones in there, too, so it’s going to be tough. Jim Gluckson: All right. Well, Bob, I know you’re on a tight schedule today, so we’re now ready for the question and answer session from the media. If we can have the questions first from the media wishing to speak to Bob Baffert and take care of Bob right away, if we can do that, Michelle, we’ll be—start right now for questions for Mr. Baffert. Our first question comes from Danny Brewer, Thegreatest2minutes.com. Please go ahead. Danny Brewer: Do you think that there is such a thing as home turf advantage in the Breeders’ Cup? And if so, do you think you’ve got a little bit of that right now? Bob Baffert: Well, I think the only advantage you have if the horse has been successful, if he’s run a race on that track or has run well on that surface, I think that has a lot to do with it. We have a completely new surface here at Santa Anita, which I think—I mean Todd Pletcher he brought that two-year-old filly in here and she just won the two-year-old filly race here really handily. In the old days it might’ve been, but not anymore. We have a really great surface out here now, and I think, as you’ve seen, a lot of you guys are shipping in here from the East Coast, which never used to, and now they’re—and they’ve having a lot of success. I think the advantage is that for a guy that— like me where I nominate horses, , or if I’m going to ship across to run in the Breeders’ Cup, you know, I might maybe run one or two more horses than I would’ve. Danny Brewer: What about Bayern? How is he looking, and is he just an unbelievable talent that you let roll, or have you tried to shape him in any way? Bob Baffert: Well, I mean he’s a horse that, you know, we really, really (inaudible) him earlier in the year, and really thought he was a Derby-type horse. But he was behind those other horses and it just took him awhile to mature. We were trying to get him there, and so finally he got his game together when he won that seven eighths at the—on Belmont Day when he just scorched the field that day, and then he came back with another great effort in the Haskell. His Travers—I don’t know, you can always make an excuse for him, but he didn’t bring his A game that day. He broke, he was in the lead, but he wasn’t really pulling Martin. He wasn’t really just dragging him up to the spot. So—and when he didn’t show any resistance at the top of the stretch, Martin, he just wrapped up on him and took care of him. But when we came back to Del Mar he worked really well, and I knew the turnaround to go to the Philadelphia Derby was going to be a little tight on him, but he really looked better. After the Travers he looked—he was a little heavy actually going to the Travers. He’s a horse that keeps his flesh. He can handle a lot. We felt really confident about the Philadelphia Parx race, and he’s come back here and he’s trained well, so we felt like with so much on the line going a mile and a quarter, I really didn’t want to run him in the mile, so give him a chance (inaudible). You know, what I see, he looks like he’s doing as well as he has been, so I feel good about it. Debbie Arrington: Hi, Bob, and thanks a lot for coming on this morning. We’ve got a lot of great three-year-olds in the Classic, including yours. Do you think that the three-year-olds have an advantage this year over the older horses, and how would you rate this class of three-year-olds? Bob Baffert: Well you’ve have the Derby winner, you’ve got Shared Belief, Bayern. Those are the three horses that have brought it. You’ve got Tonalist, who won the Belmont and could’ve easily won the Travers; just came up a little short there. I mean it’s just hard to keep—to get them all together. The older horses, you had some older they’re hard to keep on the trail sometimes where it doesn’t work out, like Game On Dude and all the other horses. But it’s always a very competitive race no matter what. I mean the draw is going to be important, the racing luck, all that, so it’s still going to be a pretty tough race. Debbie Arrington: What do you think of this class of three-year-olds? Do you think it’s one of the best classes we’ve seen in a while? Bob Baffert: Well, I mean I think it’s a very tough class. I think at the beginning of the year we’re always saying there’s, you know, the three-year-olds aren’t that good. You hear it every year and then all of a sudden four-year-olds are really tough. You really don’t know until they run against the older horses (inaudible). I really think like California Chrome on his good day he’s as good as any of them. Shared Belief, we know what he can do. His last race was pretty incredible. Bayern, we know what he can do when he’s—Bayern is huge. So it’s just a matter of who brings their A game that day and who gets a trip. Tim Wilkin: Hey, Bob. Does it look like, in your eyes, that your horse is going to be the one they’re going to all have to catch? Bob Baffert: Well, , we’re always hoping for a good break, but I’m not going to really change his style or anything. I’m just going to let him bounce out of there. He’s quick and we know he’s fast, when you’re one dimensional like that—I’m not going to change his style. I’m just going to let him bounce away from there and see what happens, his weapon is his early speed, so we’re not changing that. Tim Wilkin: Is there any horse in here that concerns you more than any other? Bob Baffert: I really don’t really think about that. Right now, I’m just trying to get there; you know, keep him healthy, keep these horses—there’s been a little bit of sickness on the backside. You saw it with Beholder, and, there a lot of horses getting sick; a little temperature. So I worry more about stuff like that. Terri Keith: Good morning, Bob. Do you see the likely Horse of the Year coming out of the Classic with a win? Bob Baffert: Yes, I think so; the way it’s shaping up. That’s one of the reasons they’re sponsoring Bayern—going in you have Chrome, Bayern, Shared Belief, the horses that are in this race. This is what it’s come down to. Wise Dan, now that he’s out it’s sort of like it’s going to have to come down to what happens in the Classic. So it became even (Wise Dan )was out it became even more important. Jim Gluckson: All right, we’d like to have—to open up the call now to our three guests for questions for Jerry Hollendorfer, Art Sherman and Bill Mott, please. So, Michelle, we’re ready to go ahead. Operator: Thank you. Once again, ladies and gentlemen, if you do have a question, please press star, one on your touch-tone phone at this time. As a reminder, please state who you are asking your question to. The first question comes from Jennie Rees of the Louisville Courier-Journal. Please go ahead. Jennie Rees: Yes, this is for Bill Mott. Bill, I want to ask you about Cigar Street. This seems maybe a little uncharacteristic move for you, because usually you come to the Classic with a horse that’s at least competed in a Grade 1 race, and so I mean what—softball question, what does that say about the horse? Bill Mott: Well, I think, you know, we were headed in that direction before, and we were forced to give the horse a lot of time for some issues that he had, and he was off actually 15 or 16 months I guess. You know, we brought him back to the races this summer and he’s, you know, he’s kind of continued on the path that we were on, you know, nearly two years ago I guess, right? So, you know, he’s going in the right direction. He’s coming off of a good race at Churchill Downs, and, you know, he was a horse that has always been well thought of. I mean he’s a big, strong horse with plenty of talent, and, you know, looks like he should get the 10 furlong distance. I guess the—he’s won a stake at a mile and three sixteenths before, but, you know, he’s meeting a tough group of horses, but we’ve always felt that, you know, he probably belonged. Jennie Rees: Yes, what is he conceding to his competitors? I mean obviously some seasoning and some experience in Grade 1 races, but I mean it sounds like you believe he’s got the talent, it’s just a matter of (cross talking)? Bill Mott: Yes, he is probably lacking in some of the racing experience that some of them have had, but, you know, it’s been spread out over a long period of time, and, you know, maybe one good thing that he’s got going for him is that he’s—he is a fresh horse. I mean I think you listened to Bob Baffert a while ago, and, of course, he talked about having maybe a little fresher horse for the big day at the end of the year, and that’s always a little bit hard to do, particularly when you’ve got a horse that started early and they continued on throughout the year and they were, you know, they’ve been competing well. You just go from one race to the next, and, you know, hope they keep, you know, you keep them in a good pattern. But, you know, when you get to the end of the year, some of these horses have run eight, nine, 10 times in very tough races. Our horse is fresh. He’s coming into his third race off a layoff, and hopefully it’ll be a big one. I mean we just hope—you know—we didn’t plan this situation. It just kind of—that’s what was presented to us because of the time that we had to give him earlier on, but hopefully it’ll work out in our favor. Jennie Rees: Was it an easy decision to go this route versus, say, go more conservative; maybe go towards the Clark? Bill Mott: It was easy because, number one, the owners are excited about coming to the Breeders’ Cup Classic. Before we ran him this year, before he ran the first time, I mean they were interested, you know, is there any way we can get him to the Breeders’ Cup Classic? You know, it—right now it’s worked out, we’re there, and they’re anxious to run, and frankly, I’m anxious to give him a chance. I think he’s, you know, he’s done enough for me to give him a chance. Danny Brewer: Yes, my question is for Bill also. About Close Hatches, the Spinster, does that take any pressure off her going into the Distaff, or does she really even care about that? Bill Mott: Well, I don’t know if she cares about it, it was a little bit of—it was kind of letting the air out of a balloon when she got beat for all her connections, because we had, you know, extremely high expectations for her naturally. I mean she’d been undefeated this year, and was a three to five favorite. I don’t think she’s worried about any pressure. I think it’s probably—I’m just hoping that she’ll rebound. You always hate to see these fillies run a little bit of a stinker, because you never know when they’ve had enough racing. Sometimes they appear to look good and train well and they’ve just decided that they’ve had enough. But, you know, I don’t know that that’s the case with her. I mean we thought that it was just—I don’t know. We just didn’t know what to make of it. We weren’t sure that she handled the race track. We thought that could’ve had something to do with it. You know, I certainly thought she went into the Spinster in good shape, you know, apart from probably having a little bit of a fast work a couple weeks before. But, you know, everything else went well leading up to the race, so it was a little—like I said, it was a little bit of a head scratcher. I’m hoping she can, you know, come back in California and show some—show her best—put her best foot forward, so. Danny Brewer: Well, I’m sure she will. I wish you the best of luck. My next question is for Art Sherman. Artie, how’s Chrome handling the dirt there at Los Al, and is that—is it supposed to be the same dirt that’s at Santa Anita? Is that true or false, and how’s he doing? Art Sherman: He’s doing really great. You know, I really was very pleased with his last workout. Of course, you know, he won three stakes at Santa Anita. Of course they’ve changed the race track, you know, since then, but it’s almost exactly similar to Los Alamitos’ surface, so I don’t think the change coming from Los Alamitos to Santa Anita will make any difference at all. Danny Brewer: Artie, I appreciate it. I wish you all the best of luck. Thanks, guys. Frank Angst: Some trainers already have talked about the advantages of having a fresh horse and the challenges of racing all season. What has been your approach with California Chrome after going through the Triple Crown races obviously and then bringing him back in the late summer and fall? Just what has been your approach and how would you say that approach has gone to this point? Art Sherman: Well, it’s went fairly well. The race at Parx, you know, was a little disappointing to me. I just thought that I would’ve liked to have got a little stronger race out of that. You know, he had quite a bit of problems in the race. You know, I was kind of a little bit upset just the way the race was run, you know. But after that he come back sound and he’s had some great works, you know, and I’m trying like everybody else to keep a fresh horse for—to race. I’m so satisfied with the way he’s been working, and Victor told me he’s as good as he ever was, so I’m all pumped up on that. Debbie Arrington: Hi. I’ve got a question for Art and then one for Jerry. Art, thanks for coming on. You sound like you’ve got a cold. Art Sherman: I do. I wound up with a head cold. I did a seminar over in Vegas the other day, and it was kind of on the plane. You know how you catch these little goodies, but it kind of hit me so I’m—I sound like I’ve got a frog in my throat. Debbie Arrington: Well, as long as the horse doesn’t have a frog in his throat. Art Sherman: No, that’s the main thing. Debbie Arrington: Well, it looks like Chrome has grown this summer. During his time off, did he come back a little bigger and stronger? Art Sherman: He sure has. You know, I looked at him really close; you know, how you get—you see a horse from early this year and now you see him near the end of the year, and I’m just hoping I can keep him around as a four-year-old. You know, I’m not sure what the owners, you know, all of the sudden being a stud, you know, you’re going to get a lot of offers to sell him, and I’m just hoping that I can race him as a four-year-old. I think he’d be a great four-year-old. Debbie Arrington: Do you think he’s acting like he’s coming up to a big race? Art Sherman: He sure is. You know, I’m just so happy the way he’s been training these last three weeks, and, of course, I’ve got one more blow off this Saturday and that’ll be the last tune-up for him. Then we’ll take him to Santa Anita and school him over there, which he likes, you know, standing in the gate, and going to the paddock. So we’ll have a week of him galloping over at Santa Anita. Debbie Arrington: Very good. Jerry, how has Shared Belief matured this year? Jerry Hollendorfer: He’s coming along very well. He’s done everything that we’ve asked him to do. Debbie Arrington: He’s trained mostly up here at Golden Gate on the Tapeta, but he’s looked marvelous when he’s gone down to Santa Anita. Is he one of those horses that just he travels really well, and, you know, just is at home on any track that he’s on? Jerry Hollendorfer: Well, he settles in very rapidly wherever I take him, and he’s handled every surface that we’ve put him on. I like training him on the synthetic surface at Golden Gate. He trains real well on it, and it seems like it’s been an advantage for him at least to train here and then run on another surface. Debbie Arrington: What’s his personality like? Is he a spunky horse, or is he, you know, really aggressive, or is he laid back, or what kind of horse is he? Jerry Hollendorfer: Around the barn he’s real laid back. When he gets on the race track he’s all business, and just does his job every day just very consistently. Tim Wilkin: Art, are you right now just drawing a line through the Pennsylvania Derby, and do you expect California Chrome to be the Chrome that you—we saw during the spring in the Classic? Art Sherman: I’m hoping for that. You know, I—every time your horse throws kind of a little bit of a clunker in on you, you know, you get a little bit concerned. But after reviewing the pictures of that race, and knowing how that wasn’t his style of running, I’m just hoping I get a good post position in the draw and he can be out. You know, I haven’t got a chance to really see him in his last two races. He hasn’t had a good trip at all. You know, you hate to cry wolf (inaudible), but you haven’t seen the Chrome that I know, you know. So I’m just hoping it happens in the Classic. I think it’s the greatest race that we’re going to have on our program in quite a year. I mean there’s like a half a dozen horses that could easily win it, and it should be a great (inaudible) race. I really think so. Tim Wilkin: You’ve got a price on Chrome this time, probably? Art Sherman: At least five to one. Jerry should be six to five, my old buddy. Tim Wilkin: So, Art, you are very confident that this horse, providing the draw goes well for him, is going to show up and run huge? Art Sherman: I think so. I really do, you know. Of course, we all wish for racing luck. We know how that plays such a big part, and especially with a big field, you know, and the break’s going to be important. I mean it really can set your horse in a position where it can win from the half mile going home, you know. So, you know, I wish everybody good luck in this race and Horse of the Year will be on the line in this race. You know, it’s a big race for everybody, and it’ll be exciting. I’m looking forward to it. I kind of get butterflies when I think about it. Tim Wilkin: What are your impressions of Shared Belief? Art Sherman: He’s a real race horse. You know, Jerry ran him in my barn when he won the Los Alamitos Derby, so I got a good chance to look at him. He’s a cool horse. I really enjoy watching him train and everything. He’s a good horse. Tim Wilkin: He’s the one to beat? John Scheinman: This is for Art. Art, first of all, it was good to meet you out in Pennsylvania. It was a pleasure. After that race in the Pennsylvania Derby, did you suffer at all any lack of—any loss of confidence, and did you have to see things and write checkmarks with California Chrome to get your confidence back in him, or not at all? Art Sherman: Not at all, you know, because the horse even acted like he was ticked off after the race. You know, he drank like two sips of water and he was cranky like, hey, what’s going on here; you know, I—this is not my style of running, you know what I mean? I could tell that he wasn’t himself after the race. I mean he pulled up great, and he come back to the barn, but he kind of knew that, hey, what was all that about, you know what I mean? He had no chance. They had him in the pocket for three quarters of a mile and he couldn’t get out. I don’t blame the jockeys for putting him in that position. You know, when you’ve got a target on your back, that’s usually what happens when you’re race riding, you know. I don’t blame anybody else; it was just a bad race (inaudible). John Scheinman: Are you—do you have any dissatisfaction at all with the rides you got in the Belmont and Pennsylvania Derby? Art Sherman: Well, I had a little conversation with Victor. You know, we all know—I rode for 23 years myself, so I know the precarious positions you can get to. But, you know, it wasn’t his type of race. You know, he won six straight races with him, and these were two completely different races than he ran when he won, you know. You’ve got to give this horse a chance from the three eighth pole home, and you’ve got to get him in the clear. You can’t be running up horses’ heels. You can’t be checking. I wish he was that type of a horse where you could stop him and go, you know. But I think that he is—if he gets a fair shake when he’s running for home, I’d like to see who is the best horse, you know? Let us all come down the lane in a fair—and the best horse wins it. That would be a great race. John Scheinman: You would think he would have less of a target on him being that there’s so many other really good horses in the field. Art Sherman: True. This is going to be I think maybe—well, it all depends on his draw. You know, we’re going to wait and see where we’re all at. You know, it’s going to be for sure a jockeys race to win it or lose I think. John Scheinman: Will he still wear a clip-on shoe in the race? Art Sherman: Yes, he wears clip-on shoes in the rear, not in the front. John Scheinman: So that remains for the Breeders’ Classic? John Scheinman: Okay. Well, I want to wish you the best of luck. You guys are all talking about odds, and if Bill Mott’s still there, I’d love to hear what he thinks. Or if he’s not, they’re going to be for Cigar Street. I really like this horse, but he’s obviously going to fly under the radar for—considering all the star power in the field. Bill Mott: Well, I guess we probably figure at least to be 10 or 12 to 1 with, you know, the rest of the good horses in there. Maybe he’ll be more than that, but I’m sure we’re going to be 10 to 1 in the race, and, you know, we’re—hopefully we’ll be in there to get a piece of it. Hopefully the people that back him will get a little return. John Scheinman: You might’ve gone over it before, but could you go over a bit about what has hampered this horse’s career, because he seems like, just looking at the PPs, he’s been kind of stop and go, but there’s just obviously just tremendous talent in there. What’s been his impediment? Bill Mott: Well, I didn’t have him as a three-year-old. He was with another trainer in Louisiana, and it looks like he, you know, he broke his maiden in really good fashion and then ran in the Louisiana Derby and I think he came out of the race with a hairline fracture in his hind leg. He had a condylar fracture, and they put a screw in him behind. Then we—I was lucky enough to get the horse and we got him back in training and he won three in a row for us. He actually was showing some signs of bone bruising in his hind ankles, so we laid him up and gave him time and he had a couple hiccups, you know, coming back, so, you know, it was one month turned into another month and it turned out to be quite an extended period of time that he had off. But, you know, just from what I can see, he’s come back and he’s back in the game even though he had a lot of time off. He is such a big horse that he’s, you know, you could understand why he would be a late developer to begin with, and, you know, he didn’t have the soundness issues early on. But hopefully all those things are behind him for a while, and he looks—you know—we’re pleased with his progress and certainly we’re pleased with his last race, and hopefully he’ll improve off of that. John Scheinman: I mean he’s run sensationally but not against this kind of field. Do you look at it, and is there something that you look at and say, yes, he’s ready to take on all these monsters? Bill Mott: Well, you test by fire, you’ll never know unless you get him in there and give him a chance. , I’m as anxious to find out as everybody else would be, I don’t doubt that he’s a nice horse, but he does have to step up and he’s got to prove it. I mean he’s like any of the rest of them. They’ve got to prove that they can run with the best. So I’ll be anxiously awaiting—waiting to see what happens. Tom Pedulla: Yes, this is for Bill. Bill, if I could ask you, whenever you do reflect on your career, or if you would be good enough to reflect on your career, where do the Breeders’ Cup wins come in, and does one stand above the others? Bill Mott: Well, I’ve got to tell you, I mean when Cigar won the Breeders’ Cup Classic in ’95, it really was—I think since time has passed and I look back, that had to be one of the most gratifying wins that I’ve had in my career. Of course, it was, you know, what it did for him was culminate a perfect season. He was 10 for 10 that year, and, you know, we were going into it, and, of course, everybody’s come together. You’re going a mile and a quarter and, of course, the race track came up sloppy on that particular day and we didn’t know really how he’d handle the mud. We had made the transition from turf to dirt with him, and he was doing quite well, and—but we really—I’d never run him on an off track and I’d never really even breezed him on an off track, so I wasn’t sure how he was going to do. And just to have him pass that test on that particular day and end the year 10 for 10, and, you know, obviously he showed up a Championship and a Horse of the Year trophy, so it was pretty special; really pretty special. Tom Pedulla: If I could just follow-up. Bill, with the sum of your accomplishments, have you far exceeded anything you could’ve imagined for yourself? Bill Mott: Have I—well, have I far exceeded anything as far as myself? Well, when I was 18 years old and hauling horses around in a two-horse trailer to the bush tracks, I mean I never even imagined that I’d be training for anybody else other than just myself. So, things just happened and it went from a passion and a love of horses, and being very competitive in nature I guess I always like the competition as well as the horses, so it all really worked out in my favor and, it just turned into a business. It wasn’t something I planned, so, yes, did it far exceed anything I ever thought it would? Absolutely. I can’t imagine that I’ve been lucky enough to be in the position that I’ve been in over the last few years. Terri Keith: Good morning. This would be for all of the trainers. Do you see the Classic as having the deepest field of three-year-olds in recent years? Jim Gluckson: Jerry, why don’t you take that first, please? Jerry Hollendorfer: Well, I think possibly there are more three-year-olds in this Classic than in any other ones; at least the ones I can remember. So, you know, there’s a lot of horses in there besides the three-year-olds, so if anybody’s going to win they have to (inaudible). So, you know, I don’t think it matters how many three-year-olds are in there. Terri Keith: Also, do you see the Horse of the Year coming out of the Classic this year? Jerry Hollendorfer: You know, I like to leave that to the people that vote on that, and so, you know, we’ll see what happens in the race and then let those folks that vote on Horse of the Year and all the other awards, they’ll look at all the evidence and they’ll make their decision, and so that’s how it’ll go. Jennie Rees: Yes, this is for Jerry. Jerry, we’ve heard over the course of the year from Art in talking quite a bit about your all’s friendship, and can we get your perspective on your buddy, Art Sherman? Jerry Hollendorfer: Well, you know, I’ve been friends with the Art Sherman family for many years, and, you know, we’re rivals in horse racing but we’re also friends. So, you know, it was a very nice feeling for Art to let me come down there to Los Alamitos and stable in his barn. I’ve been friends with the whole family for many years. So we’ll continue that friendship, but when we go over there to race we’ll be fighting it out. Jennie Rees: You know why Art is sweating out will California Chrome race as a four-year-old. Of course, Shared Belief’s a gelding. How glad are you that he’s a gelding that you’ve got—who knows how many years you might have with him? Jerry Hollendorfer: I’m like a lot of the guys, you know, we’re just trying to get to this next race and see how good we could do and compete against the very best and the very best trainers. So that’s how we’re trying to train with Shared Belief, and I will worry about all the other stuff after that. Jennie Rees: Okay, and final question. He’s run all kinds of distances on all kinds of surfaces; on the lead, off the lead, on the rail, way off the rail. What do you think is his best lick; Shared Belief? Jerry Hollendorfer: Well, I don’t know. You know, somebody mentioned it’s (inaudible) data. It turns into a rider’s race, especially when you have a lot of horses in the field. So, you know, you just have to count on your rider to make the right decision and lay the horse where the horse is comfortable and where the rider’s comfortable that he can make his moves to either get through traffic or get out, or, you know, help position himself to let the horse run. So that—I think that’s how the race is going to go. It’s going to be—end up being a rider’s race, and Mike will have to make the decision where to lay our horse. We have great tactical speed, so, you know, Bob’s got great speed, and, you know, I haven’t studied all the other horses as much as I’m going to, but we’ll try to make a little game plan before the race and then I’ll let Mike do this. Jim Gluckson: All right, thank you, Michelle. At this point, if there are no further questions, I’d like to thank our guests for joining us; Bob Baffert, Jerry Hollendorfer, Art Sherman, and Bill Mott. At this time, I would like to have questions for Breeders’ Cup President, Craig Fravel, so, Michelle, if you can set that up, please? I’m sorry, and Tom Robbins, too, our Chairman of the Breeders’ Cup Racing Directors Secretaries Panel; any questions on the field. Our first question comes from Frank Angst of Blood-Horse Magazine. Please go ahead. Frank Angst: Hey, Craig. Congratulations on the record pre-entries. I was just—I was just curious if you guys—how much do you think the Breeders’ Cup Challenge “Win and You’re In” series has maybe spurred that interest in more pre-entries? How much has that factored in what we saw today? Craig Fravel: Well, I think—obviously I think good management was a big factor in the whole thing, but the—you know—I think joining up with NBC as a partner and highlighting the Breeders’ Cup throughout the summer really starting with the Belmont when we had our first Breeders’ Cup Challenge race keeps the Breeders’ Cup front and center for owners and trainers. You know, I go to a lot of these races not only in the US but around the country and around the world, and very frequently the first question asked after somebody wins a Breeders’ Cup Challenge race is, you know, are you going, and, you know, what do you think your post position will be? So I think the Challenge has been a big part of it, and I think our racing department has doubled and tripled their efforts to stay in close contact with trainers and owners, and not just in the US but elsewhere to make sure that, you know, that they know how a) appreciative we are of their interest, and b) hope that they can make it here. So I think that’s been a big factor. Then finally, this year I think, you know, Santa Anita has done a lot of work on their racing surfaces, and I think there’s a lot of confidence going in that Dennis Moore and his crew and the turf guys here have really put out a great effort throughout the year, and I think there’s significant confidence. As you heard Bob earlier, you know, the tracks are playing fair, they seem to be consistent, and I think that’s certainly a factor. Debbie Arrington: Hi. Thank you very much for coming on. We’ve had—there’s just a ton of horses in the Juvenile Turf races, and also the Turf Sprint. My question for our Racing Secretary was that surprising to you, and how hard was it for the Committee to sort out all these horses? Tom Robbins: Well, I think it’s always, Debbie, very difficult, especially for the two-year-olds, because there just isn’t a lot of form, as you all know. So that in itself, the two-year-olds, present a challenge for the Committee. The Turf Sprint was a bit of a surprise, quite honestly. But 29 horses pre-entering, and you can imagine that race took about as much time as the Mile did that also had 25 horses pre-entered. So you’re really splitting hairs when you get down to horses that look very similar and horses that have past class and horses that are progressive and moving forward. So it’s a challenge. Obviously our meeting went a lot longer yesterday than previous meetings, and for that reason we really wanted to spend a lot of time, because it’s, you know, we know there are a lot of dreams of horses getting into these races, and trying to do a thorough job and trying to get the right horses into these races. Debbie Arrington: Do you think that, you know, the Turf Sprint and the Mile, were those the hardest races to figure out who is in and who is out? Tom Robbins: Definitely. No question about that. As I said, the two-year-olds are sort of a—they’re their own challenge in that you don’t have a lot of information. It’s pretty limited in terms of what you have to go by. But these two races were very, very difficult, and took the most time. John Scheinman: Hey, Craig, this is for you. I’ve been talking with Ben Kershner (ph) that—about international wagering markets, and I’m just—I wanted just a general comment or insights from you about the importance to Breeders’ Cup of its standing into international wagering markets, and maybe some comments on the efforts to do that and maybe some of the overtures you make to foreign countries that have horse racing, as well as how you do you go about doing it? Craig Fravel: Well, Ken does a great job along with the folks here at Santa Anita through the (inaudible) simulcast firm that is run by the Stronach Group. So we depend a lot on their advice and counsel in terms of identifying potential markets. 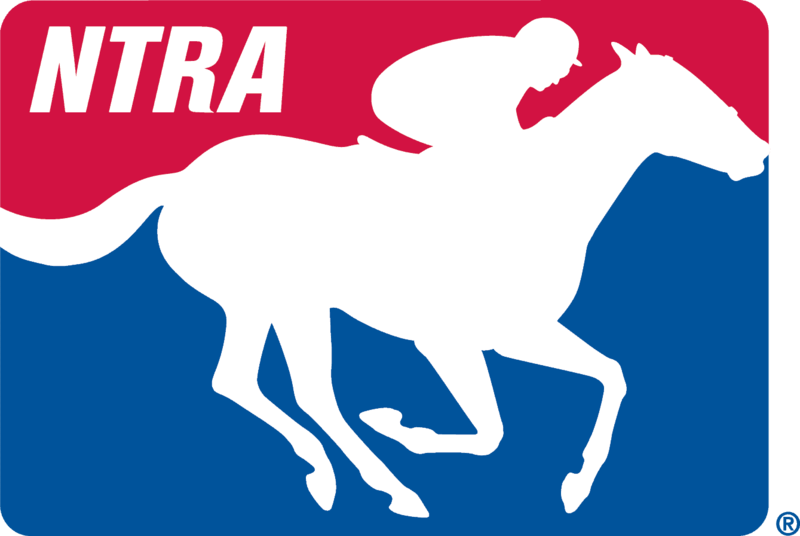 Clearly, particularly in this country, horse racing is a wagering game and a dramatic amount of our revenues which go into our purse fund are attributable to simulcast activities, and so we’ve been aggressive in expanding not only our video distribution but actual simulcast distribution around the world. A guy named Henry Birtles (ph) is handling a lot of our international television distribution. This year we’ve got, you know, thanks to the—Rich Tapestry and the Hong Kong Sprint we’re going to simulcast two of our races to Hong Kong, which is, you know, a difficult market to penetrate simply because there are legal restrictions on the number of races they can take every year, and they’re using up a fairly large chunk of their allotment to simulcast the Breeders’ Cup races. So the more we can expose our product around the world, I think, you know, the fact that we have 38 horses pre-entered from various countries around the world is a tribute to the fact that we do show our races, you know, everywhere we can get—possibly get in. This is—I think the great thing about the Breeders’ Cup is that the world meets in one place to see on that particular day in this particular place who the best race horse is in a particular category, and we’re very pleased the way that’s worked out this year. John Scheinman: So is that like a mandate to someone like Ken to go grow those markets, and do you and Breeders’ Cup look at international markets as being your best frontier to increase overall handle? Craig Fravel: Well, I think, you know, a lot of growth in the last 10 years, not just nationally and internationally, but has been Advance Deposit Wagering. If you go back and look at our simulcast numbers annually, we find the largest areas of growth in that area. We’ve spent a lot of time working with those distribution outlets to make sure that we’re working cooperatively together and providing them the best kind of service that we can as an organization. But to describe it as a mandate, you know, handle can be affected by many, many things, and for me, it’s not just Kenny’s job but it’s up to the racing department to put together great races, and it’s up to me to talk to you guys and make sure that we’re getting our messages out. At the end of the day, it really all starts with the product on the race track. If you put together great races, people will bet on them. It kind of goes back to the “Field of Dreams”, “If you build it they will come.” If you put the product on the race track, we will generate significant amounts of handle. So, you know, absent hurricanes on the East Coast and snowstorms and other natural disasters, I think between now and next Friday and Saturday we’ll be anxiously waiting the total numbers. John Scheinman: I use a word like mandate because of, you know, the conscious addition of a term like World Thoroughbred Championships is something that everybody calls just the Breeders’ Cup, and it sort of just—it’s sort of like it was a conscious effort to change the way people look at this event, and to me, you know, and I extrapolated just to, you know, the expansion to a more global market, that’s why I asked you about mandate. John Scheinman: I know, that was a little wordy, wasn’t it? Okay, well, thanks a lot. I appreciate it. Jennie Rees: Yes, this is also for Craig. You know, you were talking about that “Win and You’re In” and the impact it’s had. But don’t you all now start paying 10,000 for every horse that has to ship domestically, and I don’t know whether it would be internationally? Craig Fravel: Any horse that’s coming from anywhere in the United States except from here in California gets that $10,000 expense allowance for their travel expenses, and any horse internationally gets 40,000. Jennie Rees: Forty thousand? How many years has that been in place? Craig Fravel: This would be our second year doing that. Jennie Rees: Yes, and how much of a factor do you think that is? Maybe people with sort of a marginal horse might take a shot at it if, you know, at that at least for travel expenses? Craig Fravel: You know, I think it’s a big factor, and I’ve, you know, got Mr. Robbins sitting next to me, and just before I left Del Mar, Tom had come up with a notion of the Ship and Win program at Del Mar, which has proved to be enormously successful, and I think the Breeders’ Cup program does help those who might be on the edge about entering or not. But I think also, and maybe more importantly, it’s an invitation to the world to show up here. Basically we’re telling people that we want you here. That sounds like an odd thing that you would need to tell people, but, you know, this is a game where I think sometimes owners and trainers feel underappreciated, and we want them to know how much they are appreciated. Terri Keith: Good morning, Craig. I am wondering if you can explain why Santa Anita is such a popular choice that you’ve had it there three years in a row, and whether you get any response back from the East Coast fans who seem to be upset that it’s not going to their local tracks? Craig Fravel: Well, when I got up this morning and walked outside to look at the San Gabriel Mountains and the temperature today was going to be about 78 degrees and perfect weather, and I got to see the backdrop that’s going to show up on NBC Television, it reinforces one of the reasons why we’re here at Santa Anita. But the answer to your question is I think Mark Twain probably said it best, “A difference of opinion is probably what makes a horse race.” Certainly there are those on the East Coast and the Midwest and elsewhere in this country who are disappointed that the Breeders’ Cup hasn’t been back to some of those locations, and I don’t—I wouldn’t call it hate mail but I get disappointment mail on occasion; disappointment e-mail, and a) I think the message for those people is next year we’re heading that direction at Keeneland. We’ve already got enormous amounts of interest in attending the Breeders’ Cup in 2015, and so, you know, hopefully they get the opportunity to visit us there. But it’s awfully nice to be wanted, and—but some days, you know, you do reduce your weather risk a little bit by being here in Southern California. There might be a little higher earthquake risk, but in general, you know, I think a lot of people—particularly our friends from overseas are very pleased when they leave colder climates and show up here for a little bit of a vacation along with a great horse race. Terri Keith: My other question for you, Craig, is are you kind of holding your breath that you don’t get any more defections of big horses like Wise Dan and Beholder? Does that impact your (cross talking). Craig Fravel: I think—well, you know, I’ve been doing this for 25 or 26 years now, and I think—I don’t want to say you get immune to it, but you do begin to understand the—and Bob Lewis said to me one time when he’d had a particular problem with a horse, you know, and this goes that you’ve got to learn to take the good with the bad. So, you know, we’re just going to be happy with who shows up on the race track next Friday and Saturday, and I wish them all the best and hope they get around well. Jim Gluckson: Thank you, Michelle, and thank you, everyone, for joining us today; our trainers and Craig and Tom here in the room. Also a great thanks from the Breeders’ Cup to the NTRA, Joan Lawrence and Jim Mulvihill, for putting on these tremendous calls during the summer and fall, and to America’s Best Racing for all the work that they do. We hope to see a lot of you out here for the Breeders’ Cup next week. Thank you very much.